I love having my nails done at posh nails and beauty. Lovely friendly staff very professional. 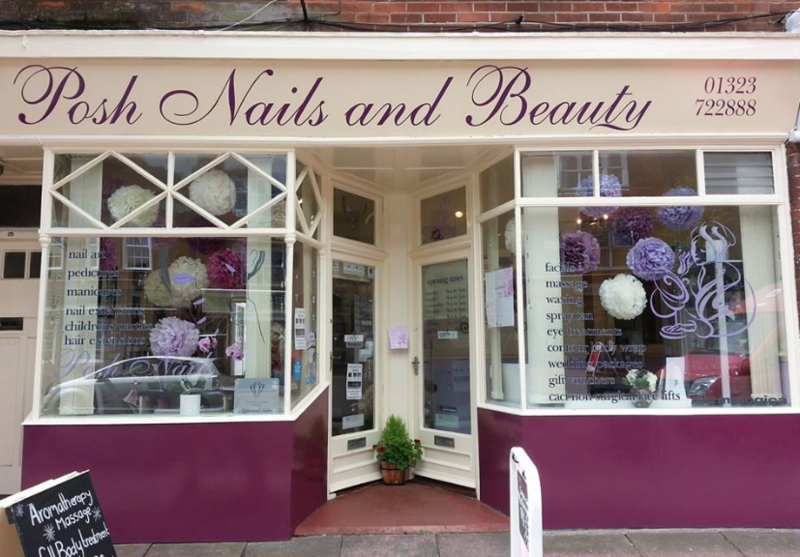 Brilliant Posh Nails & Beauty - Eastbourne! The best beauty technicians you could ever find! I have been a client for years and I choose to travel many miles to get my nails done with super Natasha, who is so skilled, friendly and professional in every way. A true perfectionist! I can happily recommend Tracey and all her Posh team for your beauty needs, as they work to the highest standards, in a lovely salon, with a fantastic knowledge about how to care for you with your particular type of treatment. Book an appointment now! You won't regret it. I always love coming in to Posh Nails and Beauty. I love supporting the local business anyway, but all of the Ladies are so friendly, which creates a really welcoming atmosphere. I always see Maia for my Manicures and she is honestly amazing. She is always cheery and makes me laugh so much during my appointments. I love our little chats that really help me to relax whilst I’m there. I also love her honesty as well, it is nice to hear her opinion if she thinks something isn’t quite right. Don’t underestimate her either, because she really knows her stuff, and I really trust her completely. She makes me want to return, because I know I am going to have a really pleasant experience. Definitely a 10/10 for me!! Excellent Service, very welcoming. Will be returning. As always. Calm peaceful pain free!! Enjoyed my facial and back massage. Many thanks!